The program enables graduate students to go beyond “one site, one view” in their research. Graduate training in water science often focuses on a single field site, analytical, or modeling approach. 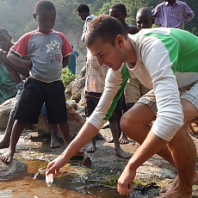 The Pathfinder Fellowship program provides travel funds to graduate students in hydrology and related sciences to make an extended trip to enhance their research by adding a field site to conduct comparative research, collaborating with a research group, or working with researchers on adding an interdisciplinary dimension to a project. Fellowships are awarded to cover travel costs of up to a maximum of $5,000. For complete application instructions, click here . Questions should be submitted to Jon Pollak at jpollak@cuahsi.org. The program enables scientists to learn the details of hydrologic instrument installation, operation, maintenance, and data processing by visiting experts or scheduling reverse site visit. CUAHSI offers Instrumentation Discovery Travel Grants (IDTG) of up to $1,000 to help cover travel expenses for scientists at U.S. universities and colleges to visit colleagues with specific instrumentation expertise. The objective of the travel should be to efficiently and economically learn how to install, operate, maintain, and process data from one or more hydrologic instruments. IDTG’s can: (1) enable university scientists to visit other institutions or research sites, or (2) enable a reverse site visit to bring an expert to their own institution. For complete application instructions, click here. The Foundation for Food and Agriculture Research (FFAR) and a consortium of leading food and agriculture companies and universities are pleased to announce that FFAR Fellows program is now accepting research proposals from both academic and industry researchers. This program combines cutting edge food or agriculture-related research with innovative professional development programs designed to help students be career-ready upon graduation. Do you want the best PhD students in the U.S. and Canada working on your food and agriculture project? Submit your research proposal to the FFAR Fellows Program: www.ffarfellows.org If you are already working with an exceptional student, they can apply to be a FFAR Fellow on the same project. The Overcoming Water Scarcity Challenge Area aims to increase the efficiency of water use in agriculture, reduce agricultural water pollution, and develop water reuse technologies. This Challenge Area will target innovative research that includes, but is not limited to, developing water conservation and reuse technology throughout the production chain, improving crop and livestock varietals/breeds, creating improved agronomic practices, increasing the social and economic tractability of water-conserving technologies/practices, and enhancing the efficacy of Extension services. The Washington State Section of the American Water Resources Association (AWRA) is seeking nominations for its 2017 – 18 Fellowship Award. For the 2017 – 18 academic year two fellowships will be given. One award will be to a member of a Washington Section affiliated Student Chapter. The other award will go to a student enrolled in a graduate program at a college or university in Washington State. Both fellowships are for a full-time graduate student completing an advanced degree in an interdisciplinary water resources subject. 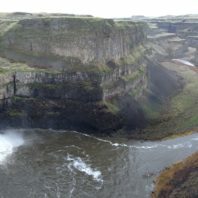 In addition to $2000 in cash, the award includes a one-year membership in both the State and National AWRA, a one-year subscription to the Journal of the American Water Resources Association, and admission to the Washington State Section Annual Conference. The Advanced Manufacturing Office at the U.S. Department of Energy (DOE) is hosting a second workshop on Clean Water Processing Technology Research and Development to gain insights on the early-stage research and development needs in this critical area. This workshop will focus on industrial, agricultural and human needs, challenges, and future paths to solve and satisfy this nation’s issues with water manufacture, use and production. This workshop will be held on August 23-24, 2017, at the Wyndham hotel in Cleveland, OH. As the consequences of water supply and quality of clean water become more pressing, it is becoming increasingly important to be able to ensure sufficient supplies of water at a reasonable cost and purity for the application from a variety of sources. DOE’s report on the Energy-Water Nexus identified the importance of research and development in developing technologies to provide water from a wide range of sources for diverse end uses, including industrial, agricultural, and municipal applications. Please register at www.yesevents.com/CleanWaterProcessingWorkshop no later than August 18th, 2017. Attendance is limited. The University of Florida Water Institute is seeking 6 highly motivated doctoral-degree students for Fellowships that provide an annual stipend, tuition waiver and health insurance for 4 years starting fall term 2017. These PhD students will work collaboratively within this interdisciplinary team of Fellows and their faculty advisors. The focus project takes a comprehensive systems approach to analysis of interbasin transfer of surface water into the Tempisque River watershed in Costa Rica. This water transfer has altered hydrology, land use, economic structure, and health of the downstream Palo Verde wetland in the Tempisque watershed. Each student will develop a selected disciplinary expertise on the system while becoming well-rounded and knowledgeable in all other disciplinary aspects of the project. While pursuing a PhD in their respective department, all students will be located together in the same office in order to encourage interdisciplinary research discussions. As such, beyond the usual criteria of academic excellence, we will look especially for open-minded candidates eager to work across disciplines and willing to become proficient in Spanish in order to gain a deeper appreciation of the issues. Applicants should have a strong demonstrated interest in water issues and either a Master’s degree in natural sciences, social sciences, or engineering, or a JD degree. Exceptional students with a Bachelor’s degree plus research experience in an appropriate discipline will also be considered. Persons from groups under-represented in science and engineering professions are encouraged to apply. For more information and to apply for a Fellowship, go to http://waterinstitute.ufl.edu/WIGF/2017Cohort/Overview_2017.html. · Fellowship applications are due to the UF Water Institute by January 16, 2017. · Promising candidates will be invited to University of Florida for a 2-day visit in February 2017. For additional questions, contact Carol Lippincott, Water Institute Research Coordinator, at calippincott@ufl.edu or 352-294-7744.